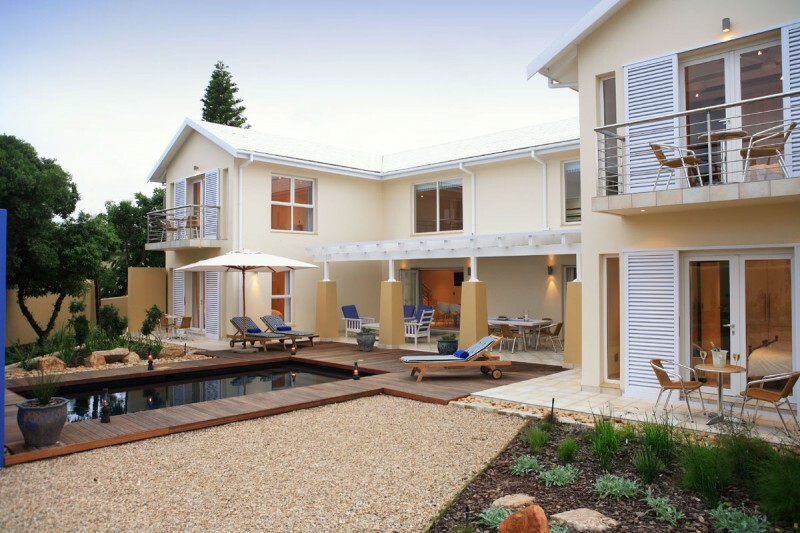 Overlooking a landscaped indigenous garden with salt water pool, Starfish Lodge is a 2 minute walk from the swimming beach of Robbreg. 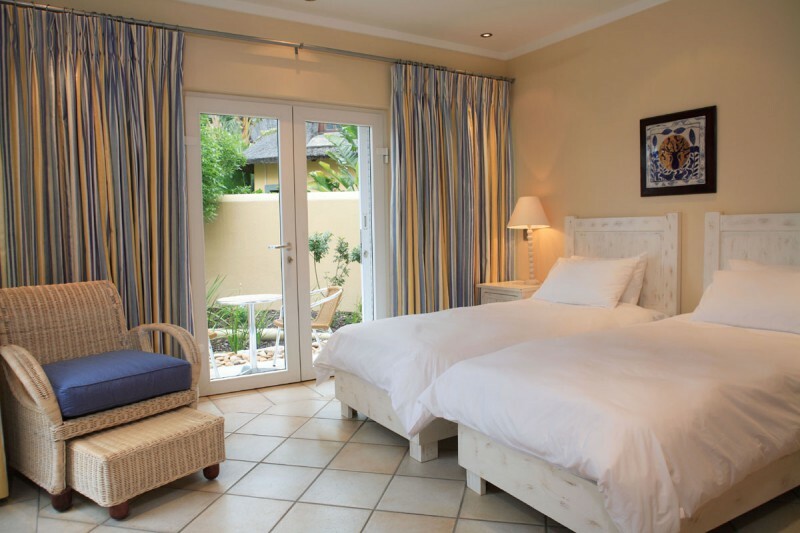 All 4 of the spacious en suite rooms have been individually appointed and only the finest linens have been provided. Self catering is optional if one has booked out the entire lodge, as there is a fully equipped kitchen. 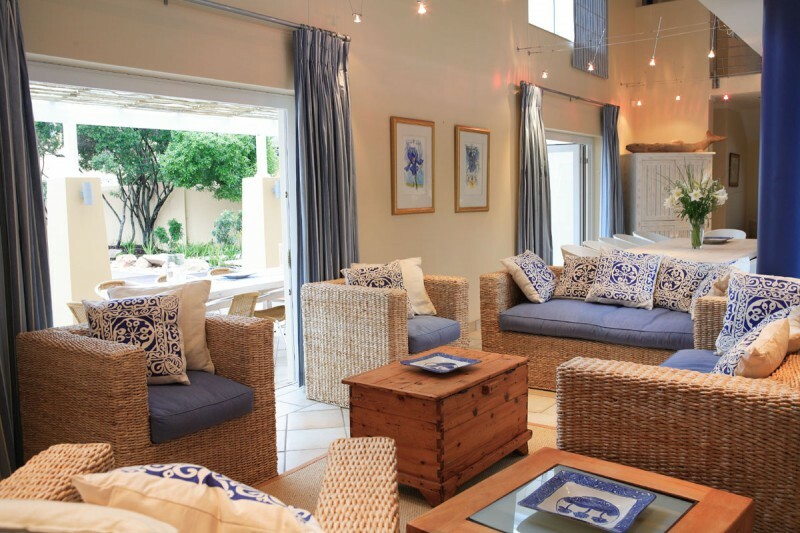 Only the finest linen and bedding has been provided as well as under floor heating, heated towel rails, safety deposit boxes and hair dryers. 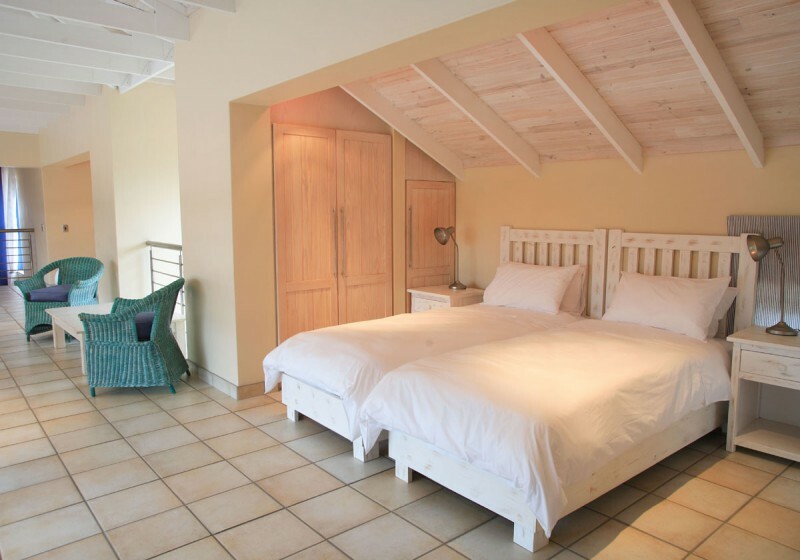 Each of the 4 rooms have beach towels, beach chairs and sun umbrellas that can be taken to the beach. 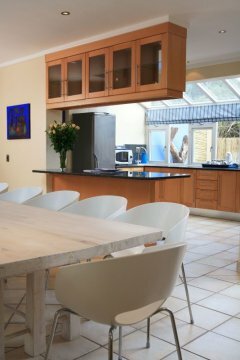 There are communal tea and coffee making facilities and telephones in each of the rooms. 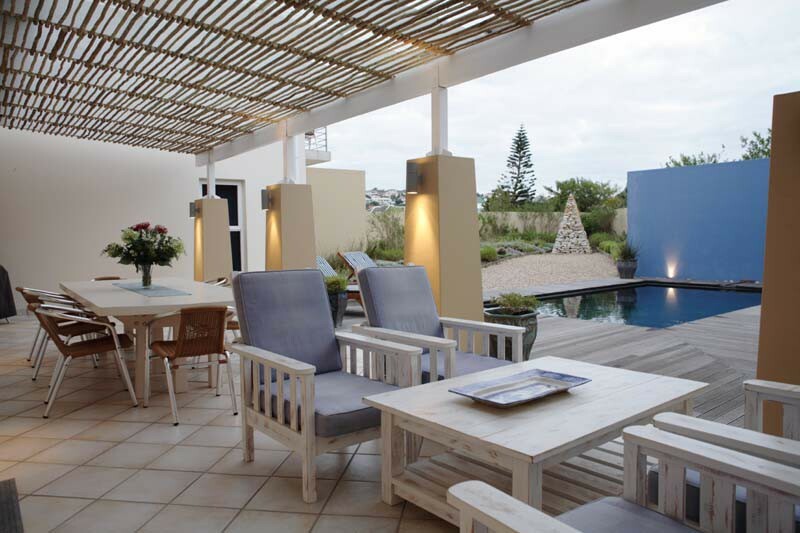 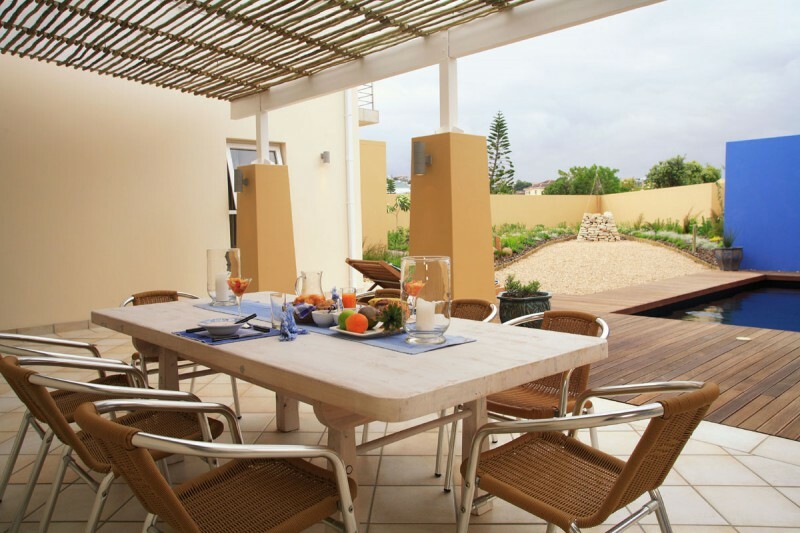 Each room has a patio/balcony overlooking the indigenous garden and salt water swimming pool. 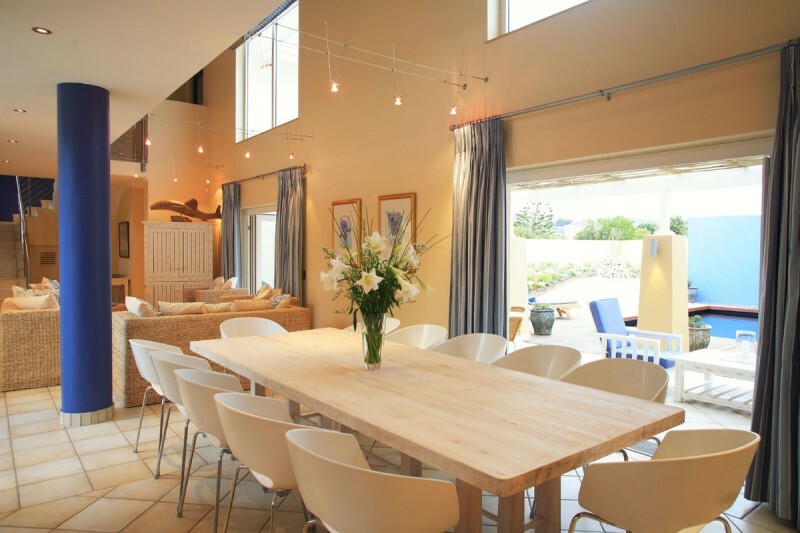 Emergency lighting is available in each room – fluorescent lights kick in immediately if the power goes off and there are free standing lanterns. 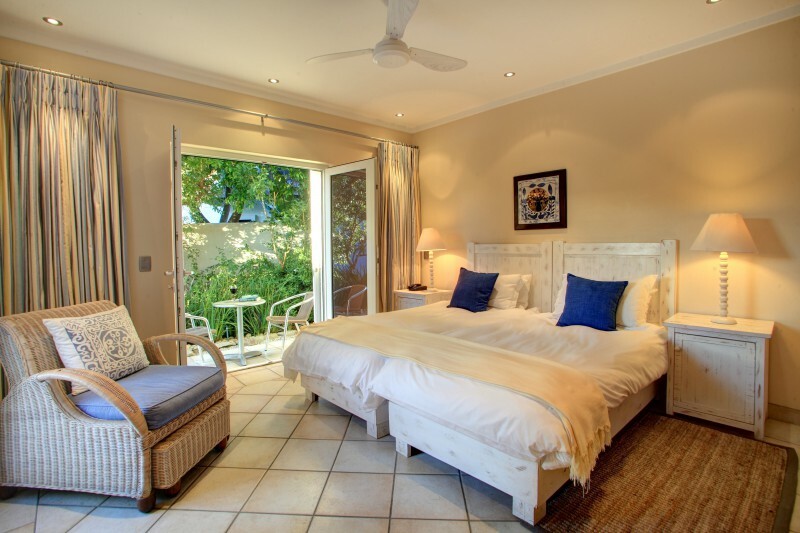 All four rooms have balconies with views of the pool and garden and have full en suite bathrooms.